Long weekend is a blessing. Yes. it’s truly a blessing. You will have another day to take a rest and you can spend another day with your family most especially with your loved ones. And you can consider this given day to go and look for an adventure with them. That’s the reason why I felt so blessed to spend it with my honey, Madj. As you all know, September 12 was already declared holiday because of Eid al-Adha. It is the second of two Muslim holidays celebrated worldwide each year, and considered the holier of the two. While prior that day, September 11 is considered as my special day. You read it right. It’s a day of celebration of another year God has given me. Yes! Thank you Lord. Thank you Lord for another year! More adventures to come. I’m already 25 years old. If you’ll add another 25 years from now, I’ll be 50 years old. I’m just wondering just now, What will be my life when I become 50 years old? If I will compute and add the years from now, the year will be 2041. First question is, am I still breathing? do I still write travel blogs? can I still climb a mountain? can I still find time to explore and travel the world? does Are and Madj Adventure category still occurs on all of my travel blog posts? Oh, that’s what I don’t know for now. But one thing’s for sure. Only God knows. But if God permits, all my questions stated above will be answered “Yes” and hopefully, I can still read and see this blog site full of the places Madj and I have been to. I believe that’s one of the important reasons why I love to write articles on this blog site. It’s for us to be able to read it when we get old and can hardly remember our adventures when we were young. Wait, am I getting too emotional here? Therefore, I promise to write and share all our adventures together from simplest to grandest adventure we can have. Why am I sharing about my birthday? It’s because this Cavinti Falls Adventure is one of my birthday wishes. And it has been granted a day after my birthday with, of course, the 100% support of Madj. Thank you so much honey. It’s amazing how everything works together to make this adventure possible. This adventure was really unplanned and we were pretty much unsure of what is going to happen. It’s worth a try. We are taking away all the negative thoughts, focusing on the possibilities that this will become possible and will turn out positively. We finally decided to go to Cavinti Falls bringing only with us the positive thoughts that this day we will finally see the place, we’ve heard a thousand times, Cavinti Falls, also best known as Pagsanjan Falls. Well, going back to the main purpose of this article. 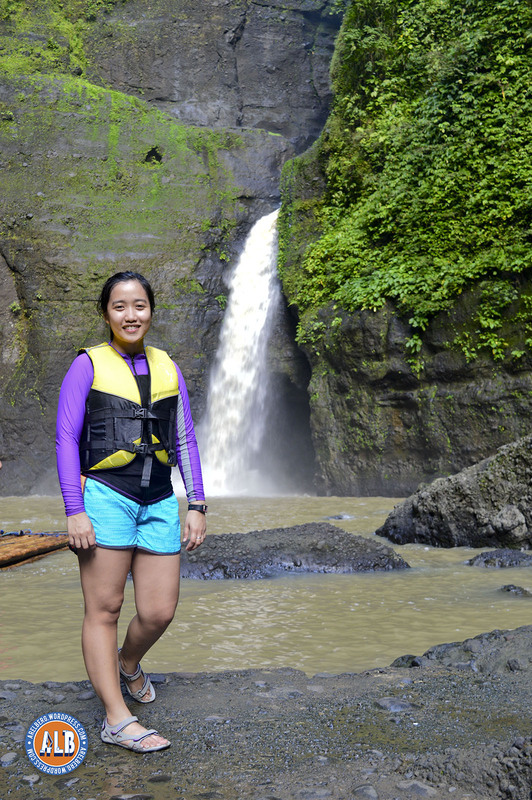 For me to share with you our Cavinti Falls Adventure. I guess, I put a lot of words to the introduction part of this article. Agree? Better to start it now. Are you ready? Me? I’m ready as I’ll ever be. Be sure you’re ready. Let’s get it on! Cavinti Falls also known as Pagsanjan falls is one of the most famous waterfalls in the Philippines. Located in the province of Laguna, the falls is one of the major tourist attractions of the region. 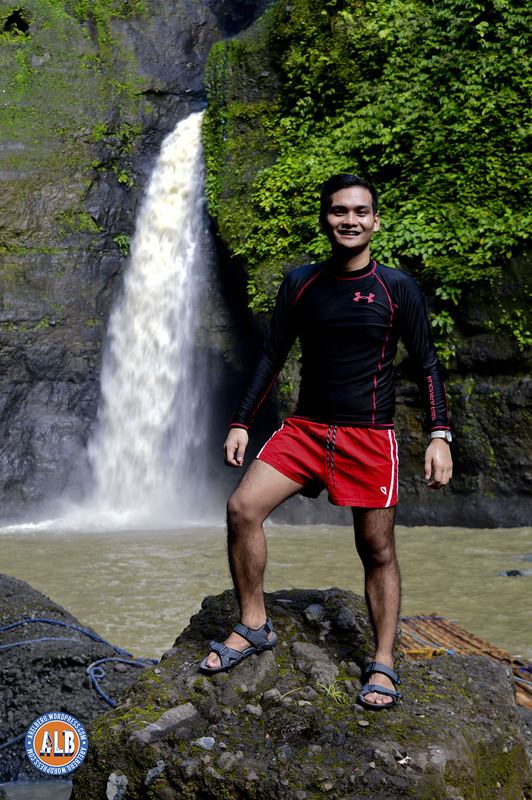 The three-drop waterfall is reached by a river trip on dugout canoe, known locally as Shooting the rapids, originating from the municipality of Pagsanjan. 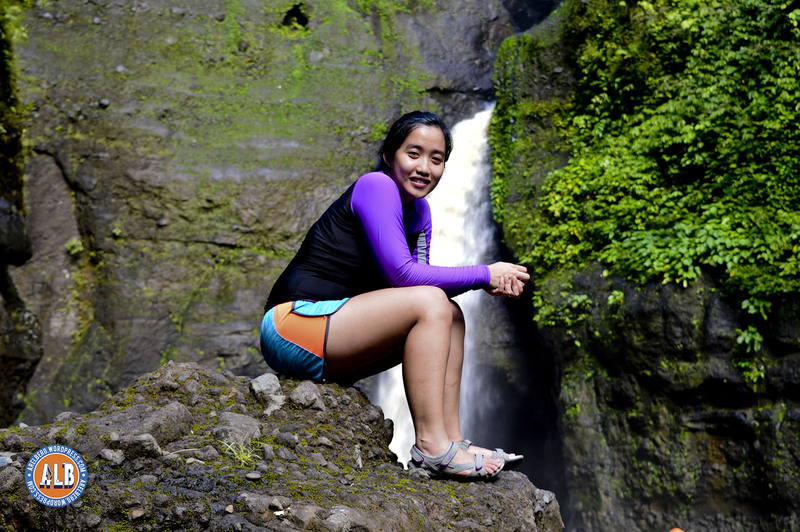 The falls can also be reached from the top by a short hike from Cavinti. 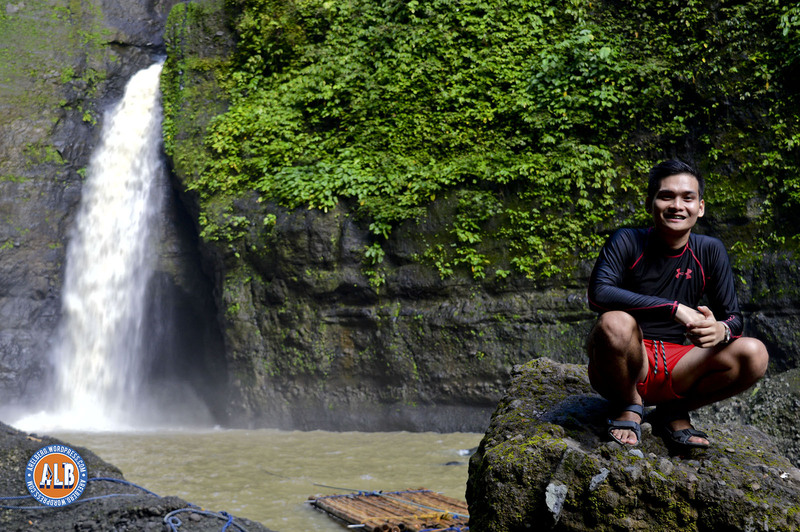 The main falls of Pagsanjan are actually located within the boundaries of Cavinti, Laguna. That may be the reason why it was also called Cavinti Falls. This place is only 3 hour ride from Manila. 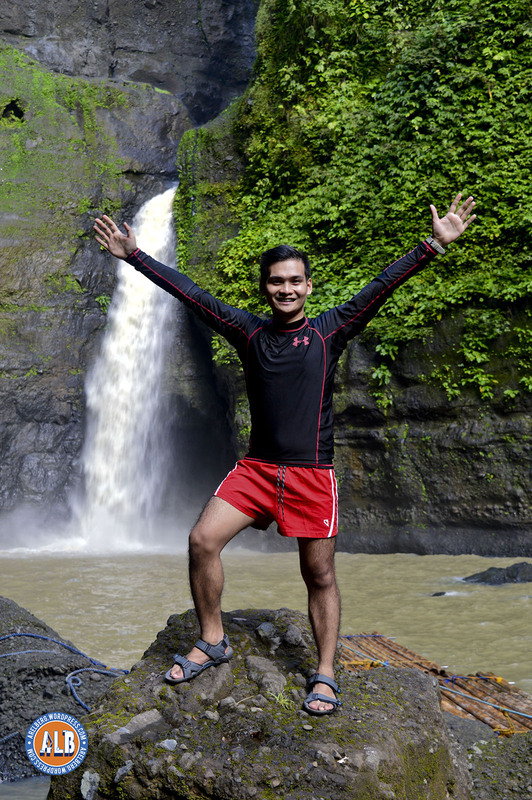 Cavinti Falls is also one of the 7 Waterfalls Near Manila You Need to Visit Before Summer Ends by Pinoy on the Road. Daranak Falls is also part of the list. If you haven’t read and checked our Daranak Falls Adventure, go check out this link: Vday Escapade 2016: Daranak Falls. 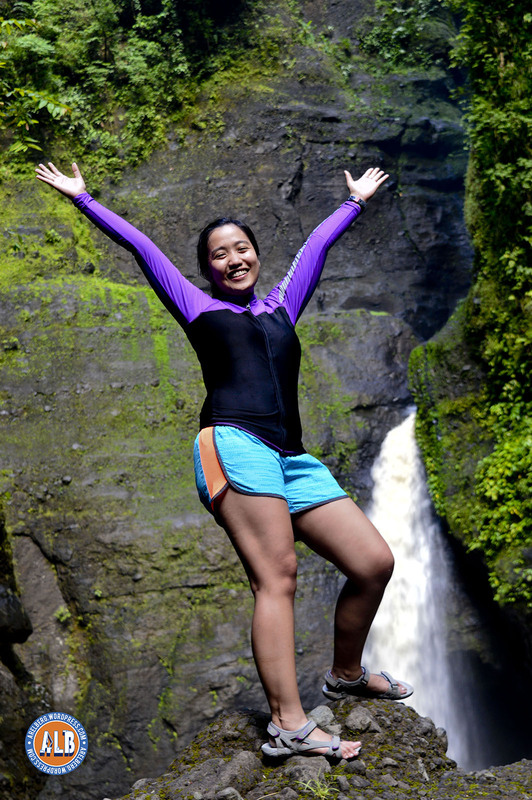 Bamboo rafting, Devil’s Cave, instant body massage directly from the waterfalls, 500 plus metal ladders , rappelling, and short trek are the highlights of our Cavinti Falls Adventure. Thanks to all the following blogs we’ve read that serves as our guide on this trip. Aside from the blogs I used as a guide, I also contacted the number from Cavinti Eco-Adventure Tour (see the contact details below). They were very helpful, they can also answer your inquiries regarding Cavinti Eco-Adventure Tour not only Cavinti Falls. Time to travel now. It’s already 12 noon when Madj and I finally got on board on a bus going to Sta. Cruz Terminal. As I contacted the Cavinti Eco-Adventure Tour, he informed me about the operating hours and the cut off time of Cavinti Falls. As per the guide, They can only accommodate visitors until 3PM. And when I asked the bus associate. He said the estimated travel time is 3 hours from Buendia to Sta. Cruz Terminal. We can almost see now what is going to happen. We will be there late and they will never allow us to see the falls. Insert sad smiley face. This will be going to happen if we were pessimist travelers. Rather than focusing on the negative outcome, we opted to still go and try. We also pray. Why can’t we try it? In fact, we are ready and very much excited. We don’t have any other choices but to go. Well, that’s the spirit. It’s drizzling outside the bus. Gladly, we arrived at the Jac Liner Bus Terminal in Sta. cruz at around 2:30PM. Yeah! We still have 30 minutes. Enough to get to Pueblo El Salvador, Nature’s Park and Picnic Grove. We rode a tricycle going to Pueblo El Salvador. According to the driver, we can get there within 30 minutes. I don’t know if he’s just kidding us or this is just a trick for us to ride on his tricycle. But after all the discussions and agreement on the payment, we depart from Sta. Cruz Terminal going to El Pueblo National Park. The clouds are a little bit dark. We can barely see the sun. Hopefully, there will be no heavy rain. There’s a light traffic going on and we’re running out of time. I guess. We read all the rules and regulations before we left the registration site. We arrived at the Pueblo El Salvador at around 3:15 PM. We’re a little late but when we went to the registration site, they still allowed us to go. Thank God. As per the person in charge, we were the last visitors they will accommodate. God surely answered our prayers. It’s worth a try. After 3 hours of commuting, Wah! We can finally see Cavinti Falls. Our adrenaline and excitement were rushing through our veins now. We’re about to start our trek going to Cavinti Falls. They gave us a tour guide. Sorry we forgot to write down his name. We start wearing our safety harnesses. After we geared up, we started our short trek. 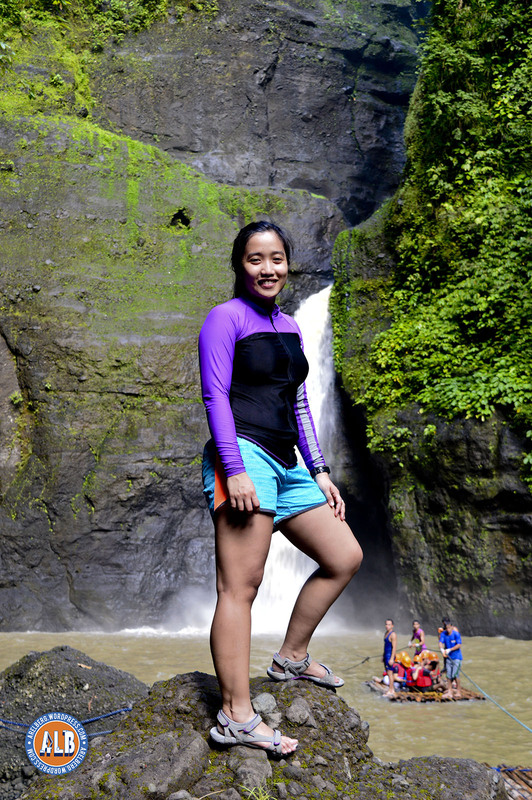 As per our guide, it will take only 45 minutes to get to Cavinti Falls including the rappelling, walking in 500+ metal ladders, and photo sessions or photo ops while on the trails. Here are the pictures while we’re on the trek. We are about to rappel now. This is our first time to do it. On the first rappeling, we were very clueless about how we will position ourselves, what we will see at the end of this tube and what will be the feeling. Just like what I stated earlier, this is one of the highlights of our Cavinti Adventure. The Rappelling. As we go along the trail, do you know the lyrics of one of the songs of Ed Sheeran, Thinking Out Loud. “When your legs don’t work like they used to before”. Our legs suddenly felt a little bit shaky and weak. This is just the first. I’m just wondering, how can we manage to do the same thing again for the next rappeling? We continue to trek until we reach our next rappelling, this time it’s shorter than the first one. As per our guide, the first one is 40 feet high while the second is only 30 feet high. Yeah. We already know what’s the feeling and it feels so good now. For the second time, we enjoyed it. We can do it hon! Rappelling #2. We are wearing our World Balance Sandals. We’re a few minutes away to the Cavinti Falls. We can finally hear the raging waterfalls. Our excitements suddenly get higher. Happiness flared into our eyes. We’re almost there. As we get closer to the waterfalls, the place becomes a little bit cold. Apology for the blurred picture. Our guide may be a little bit tired or his hands are a little bit shaky just like our legs. LOL! Wah! We’re finally here. First thing we did is of course we need to take a selfie with Cavinti Falls. 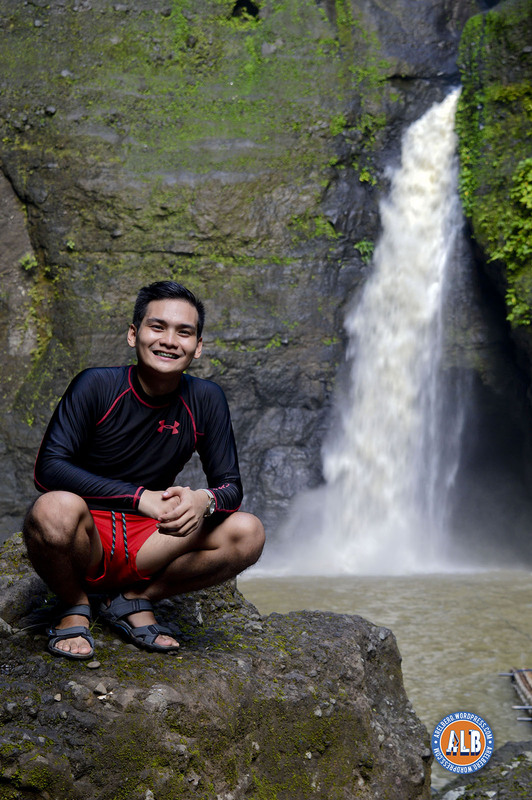 Here are our selfie shots with the mesmerizing Cavinti Falls. After all the selfie shots, we were asked to finally get on the bamboo raft. This is what we’ve been waiting for. This is the second highlight of our adventure. Going inside the Devil’s Cave via Bamboo Raft and to feel the natural instant body massage from the waterfalls. I’ll be uploading videos soon. But right now, I will share to you first the screenshots from my Go Pro Hero Session 4. We really enjoyed this much more than what we expected. No words can sufficiently depict the sensation we felt as we went into the Devil’s Cave via Bamboo Raft. It’s inexplicable. You must try it too. Wah! I can’t say anything about this adventure but this is definitely A.W.E.S.O.M.E. Can’t wait for our next adventure. This is absolutely one of the best gifts I’ve ever received on my birthday. And this is my best birthday yet. Thank you honey for the full support and love. Where do we go next? Top of my mind is M.I.N.A.L.U.N.G.A.O. Trek more often. Our legs can quickly get shaky and weak. Warm up first before we start trekking. Always do warm-up. We thought this will not require too much effort because I’ve thought that this is only a short trek but I was wrong. Bring sufficient supply of water. This is just in case you get thirsty while on trek. Remember that there’s no store near the Cavinti Falls. Good thing, there’s available spring water near the El Salvador del Mundo Statue, as per our guide, this water is clean and drinkable. So, we tried. Few hours later, nothing happens. Bring towel. This is to make yourself a little warm and dry after you swim and had an instant massage from the waterfalls. Be there as early as possible. Cavinti Falls is open from 8:00 AM until 3:00 PM. You will have plenty of time to appreciate and enjoy the view and try other activities Cavinti has to offer. Thank you Cavinti Falls for giving us a great experience! I will be uploading Cavinti Falls Adventure Video Compilation on my Youtube Account Soon! I will keep you posted. Thanks! Hi po! Nice blog! 😀 I’m planning to go this weekend, ask ko lang if may pag iiwanan ng cellphone or cam before sumakay ng raft? Hi Lyka, thank you! 😄 Noong pumunta kami, sa mga tuyo at malilinis na mga patag na bato lang namin naiwan since meron naman kami guide nun, siya ang pinagbantay namin, better din na magdala ng waterproof bags kasi malakas ang bagsak ng tubig sa falls kaya possible na mabasa din ung mga mahahalagang gamit malapit sa falls. That intro tho. “First question is, am I still breathing? do I still write travel blogs? can I still climb a mountain? can I still find time to explore and travel the world? ganda din ng mga snapshots!!! did you went back up to the mountain or rode the boat to pagsanjan?